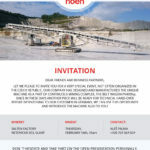 Excavator from the Czech Republic starts to mine over bunden in one of the largest mines in the Balkans - NOEN, a.s. | NOEN, a.s.
Excavator from the Czech Republic starts to mine over bunden in one of the largest mines in the Balkans - NOEN, a.s.
Prague, 18 January – NOEN has designed, manufactured and delivered to the customer in Radnevo, Bulgaria, an excavator specially adapted to local conditions. The trial operation of the nearly 600-ton, 52-metre-long machine began on December 22, and the machine is expected to work in tough conditions for more than 20 years. NOEN has delivered to the Bulgarian company Mini Marica-Iztok a “turnkey” wheel excavator. NOEN workers have designed, supplied, gradually assembled and finally adjusted all parts of the machine in the south Bulgarian mine in Radnevo to officially put the excavator into operation on December 18. “With this contract, we have moved into a very narrow range of worldwide suppliers in the field of mining machinery. In addition, we continue to follow the tradition of supplying engineering equipment to the Balkans from the times of Czechoslovakia. The last excavator of domestic provenance was delivered to Bulgaria in 1964, under the Škoda brand”, says NOEN’s spokeswoman Kateřina Rosová. The contract’s importance was also confirmed by the participation of the political leaders of both countries during the commissioning ceremony: Czech Ambassador in Bulgaria, H.E. Dušan Štrauch, and the Bulgarian Minister of Energy, Temenužka Petkova. 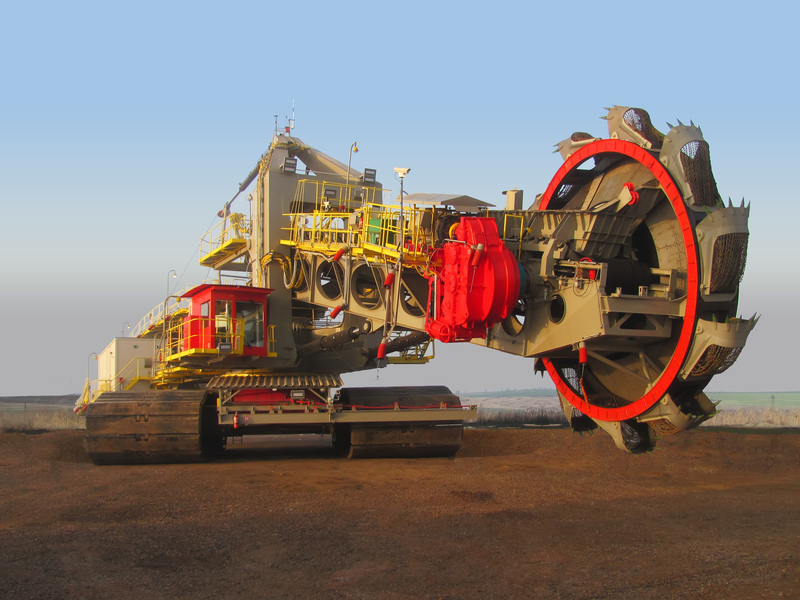 The compact bucket wheel excavator named KR1300Xk (K400.1) can be seen in a lignite mine from afar. It is 52 metres long, 15 metres wide and 15 metres high. Its main component is the wheel with a diameter of 8 m.
Immediately after its handover the machine began operating in one of the largest coal mines in the Balkans, annually producing around 30 million tons of coal. At its maximum capacity in Radnevo, it mines 1,300 m3/h and will operate in these extremely difficult conditions for more than an estimated 25 years. The biggest attraction of the excavator construction is its low specific pressure reaching only 0.06 MPa. “In combination with the high performance, our engineers have designed a unique machine, which also confirms the high prestige of Czech engineers in foreign projects,” is how NOEN CEO, Mr. Pavel Cesnek, appreciates the ingenuity of his employees. Why does the entire contract have such strict criteria? The excavator KR1300Xk will have to work at the backfill in the Radnevo mine, i.e. at 48 million m3 of backfilled soil, beneath which new lignite deposits were discovered. “The backfill is very slippery and unstable. Should such a heavy machine fall or tilt excessively, its extrication would be very difficult. Therefore, the excavator meets the uncompromising requirement for specific pressure, as well as taking into account easier extrication, for example, if one side disproportionately sinks into the ground”, is how the sales manager, Vladimír Karpíšek, describes the machine uniqueness. During KR1300Xk production and assembly, NOEN also participated in the largest professional engineering fair in the Balkans, where the company won the highest award – the Gold medal and the diploma – for the construction of the excavator. “The expert jury was impressed especially by the unique adaptation of the excavator to the specific conditions in Radnevo and also by the short time it took to complete the contract”, says Vladimir Karpíšek, adding that the company even surpassed international competition in its category.